Having the proper light over a pool table adds to the enjoyment and accuracy of the game and gives the pool table area a finished off pool room look. 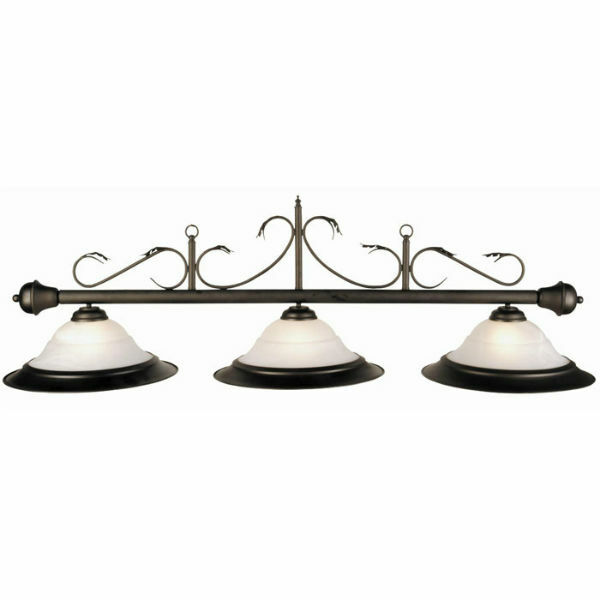 Light up your billiard room with the Eclipse Pool Table Light from American Heritage. A wonderful accent piece to put the final touch on your game room decor. NOTE - The proper height of a pool table light should be measured from the table top and the bottom of the lamp shades should be 30" from the table surface.